Staff productivity in the workplace is connected to a number of different factors including how happy the staff are and how engaged they are with company goals. However, these factors can be difficult to quantify. If you want to encourage your staff to be more productive, what are the best ways to go about it? If happier employees are also more productive, then what types of perks and incentives tend to motivate employees toward greater productivity? One of the most important things to do is making sure your employees have the tools they need to do their jobs. This sounds self-evident, yet you might be surprised at how many workplaces inhibit the productivity of their staff through outdated technology and outdated processes. All of the employee goodwill in the world cannot overcome software that should have been retired years ago or forms that require hard-to-get signatures to move up to the next level. Therefore, the first step in increasing workplace productivity is to look at how things are done and how they might be improved. One thing to keep in mind during this stage is that “how they might be improved” may not always be the way that seems the most efficient. For example, it might seem that having staff that could work the longest hours possible with the fewest distractions is the obvious path to workplace efficiency. However, humans are not machines, and studies have shown a vanishing rate of return as far as productivity goes when employees are working long hours. Moreover, being treated like a cog in a machine does not make for a happy workplace, and a happy workplace is critical to long-term productivity. Rather than strictly enforced long hours, workplaces where it might be possible to flex start times even by an hour or so gives workers a greater sense of autonomy. Furthermore, contrary to employers’ nightmare visions about a day of working at home consisting of the employee watching daytime television, running errands and chatting on the phone to friends, many at-home workers have demonstrated more productivity because they are not constantly being interrupted by their co-workers. Any flexibility of this sort that can be built into the office routine is likely to boost productivity. Employers who still feel anxious about a potential negative effect on productivity can introduce a trial period and track how productive their employees are with and without flexible hours and options to work at home one day per week. However passionate people may be about their jobs, they also work in order to get paid, and financial incentives are still an excellent path to boosting productivity. Bonuses that are tied to company profits or to production numbers reinforce this direct relationship. Not all managers are empowered to offer bonuses, and small businesses may operate within a tight enough profit margin that such an approach is not feasible. In these cases, other perks tied to productivity might be offered such as paid time off or afternoon pizzas paid for by the company. Try to provide productive employees with opportunities for advancement, and if that is not possible, giving them the opportunity to further their Staff Development Skills through additional training and education can be a reward or incentive as well. Having clear goals communicated effectively is also important. Strong leadership in the form of management that shows appreciation and encourages employees to do their best will also lead to a rise in productivity. Give them the tools they need to achieve clearly defined goals in an atmosphere where they feel valued. With an approach to productivity focused on staff needs, productivity will soar. 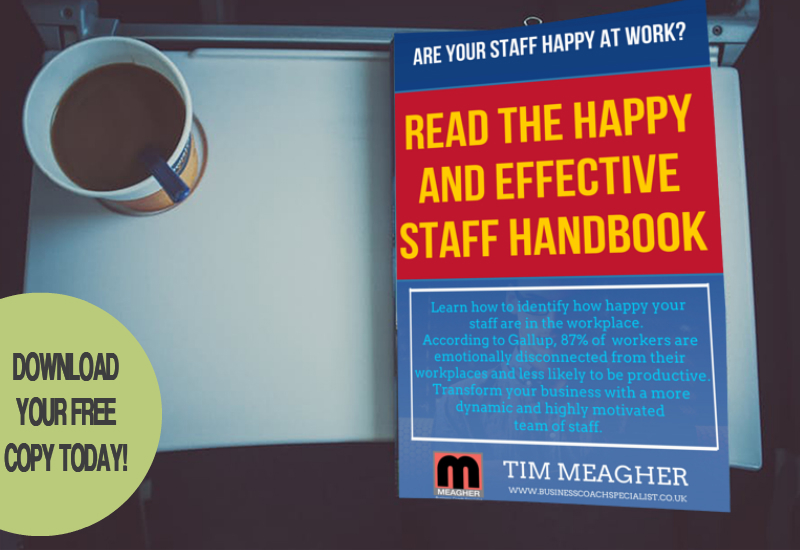 For further information on how to encourage your staff to be more productive, simply click the image below to download our FREE Happy and Effective Staff Handbook right now! 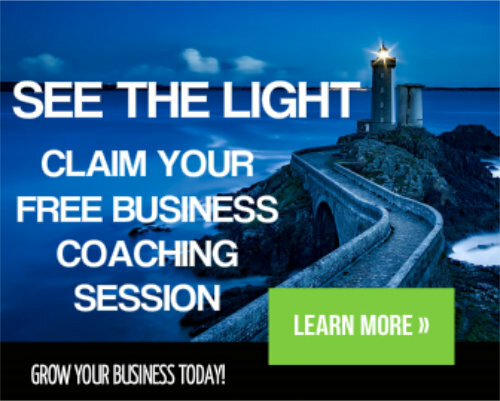 Want to learn more about our Business Coaching, Staff Development and Sales Training Services?